One Meyer is an upcoming residential development that is located along Meyer Road, East Region of the island. Its site is at a prominent corner of Meyer Road and Meyer Place. It is next to Meyer Residence and also opposite of The Meyer Melodia and The Meyer Place. Meyer Road has always being considered as one of the most prime residential locations outside the Core Central Region by the local and expatriate communities. The residential developments there are often sought after by affluent and high income earners which make them their homes. The development has a total site area of approximately 23,685 square feet and with an allowable gross plot ratio of 2.1. The site belongs to former The Albracca and it was acquired by Sustained Land in a successfully collective sale exercise in July 2017. The tenure of this development belongs to freehold. Upon completion, the development could yield a total of 66 apartment units. Other developments that are within One Meyer’s vicinity include Fulcrum, The Line @ Tanjong Rhu, The Meyerise, the Seafront On Meyer, The Atria @ Meyer, The Waterside, Marine Blue, 8M Residences and also Seaside Residences. The development is just next to the upcoming Katong Park MRT Station. The station, which will start its operation in 2023, will be operating the Thomson East Coast Line. This MRT station will bring conduit of convenience to the future residents of One Meyer as it can bring them directly to the upcoming Shenton Way MRT and also to the Orchard MRT Station without the hassle of transiting to other MRT Lines. In future, residents just also need to take 4 MRT stations to arrive at the Marina Bay MRT Interchange Station where they can easily transit to the North South MRT Line and also the MRT Circle Line, which make commuting around the island at ease. For drivers, One Meyer is approximately 10 minutes’ drive away from the Central Business District (CBD). One Meyer is also easily accessible to the Orchard Shopping Belt which is approximately 15 minutes’ drive away. One Meyer is easily linked to the East Coast Parkway (ECP) and also the Kallang Paya Lebar Expressway (KPE) which makes driving to parts of island a breeze. For shopping, dining and leisure facilities, future residents of the development can head down to the nearby Kallang Leisure Park and also the Kallang Wave Mall which is just located at the Singapore Sports Hub. Both shopping malls provide numerous retail shops, F&B outlets, supermarkets, food courts and also leisure activities. 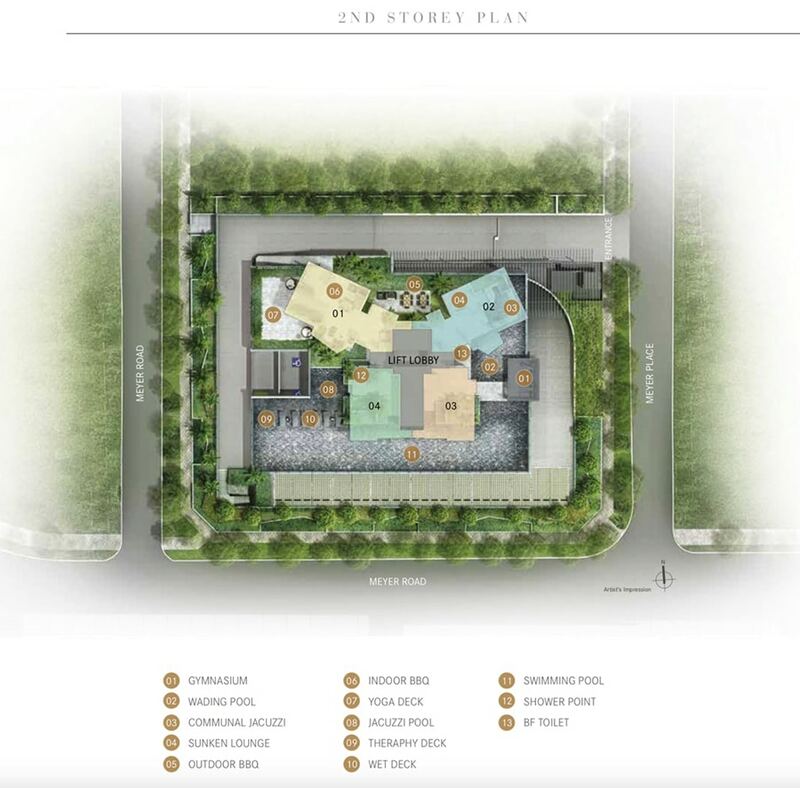 Future residents of this development can also take a short drive down to Marine Parade Central, where a number of shopping malls are located, such as I12 Katong, Katong V, Katong Shopping Centre and Parkway Parade. 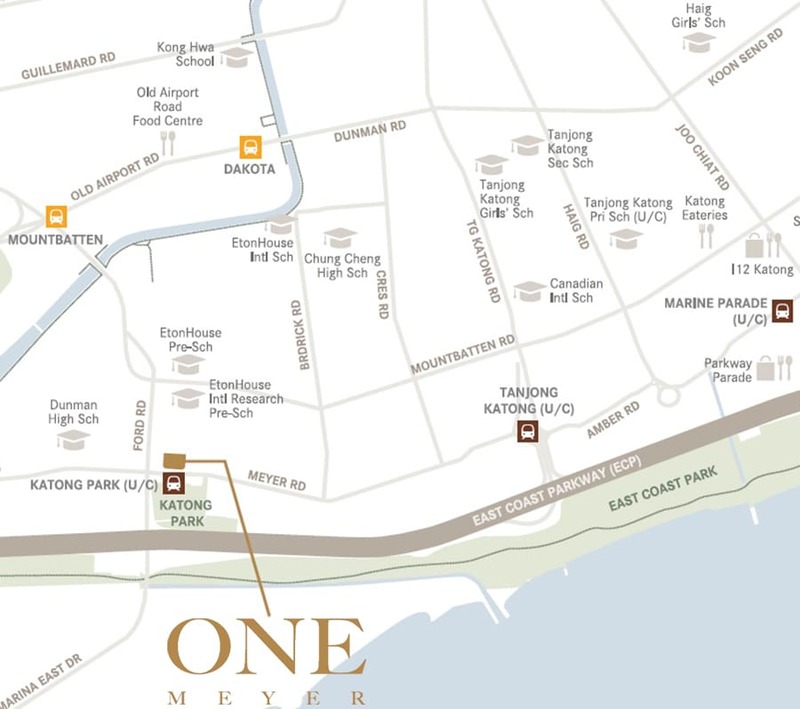 One Meyer is also close to Blk 4A Jalan Batu Market and Food Centre, Kallang Estate Market and also Blk 51 Old Airport Road Market and Food Centre where its future residents could get cheap and delicious local foods and also fresh market produce. For families with school going children, the development is near to Kong Hwa Primary School, Tanjong Katong Primary School, Dunman High School, Chung Cheng High School (Main), Broadrick Secondary School and Tanjong Katong Secondary School. 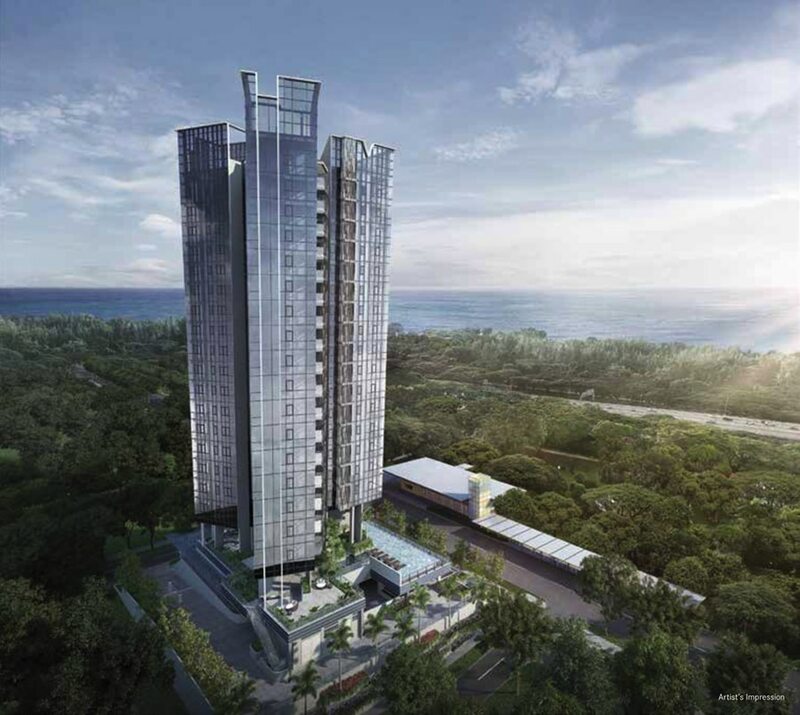 Rare – It is a rare freehold development that is next to MRT. Potential Gain – With the upcoming Thomson East Coast Line, it will impact positively on its price. Lush Greenery – It is just next to Katong Park. Prestigious – It is located in the prime residential district. Want to be a proud owner of a unit in One Meyer? Simply fill up the form below and we will get in touch with you shortly. No Commission. Best Possible Price. One Stop Solution. Thank you for your interest in One Meyer!